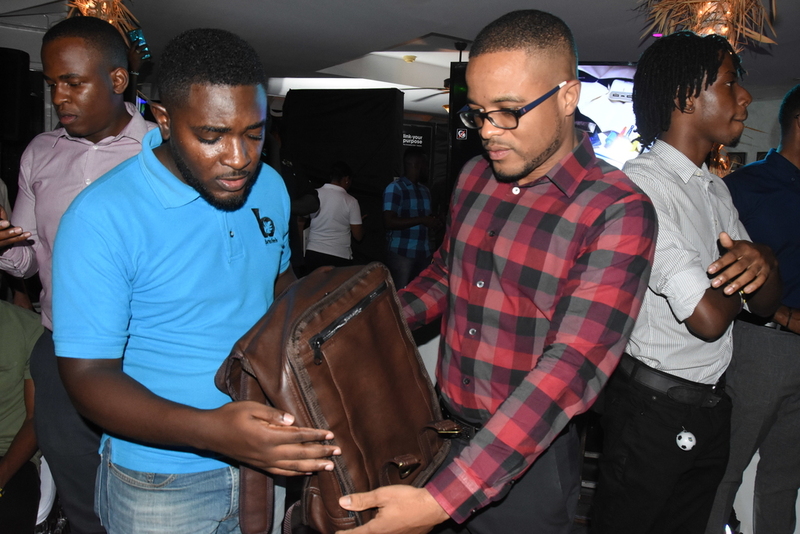 Jason McNeish (right) , marketing manager, The Jamaica National Group examines one of the bags produced by Bresheh with Randy McLaren, co-founder & managing director of Bresheh at the official launch of Bresheh’s new collections of bags in September. 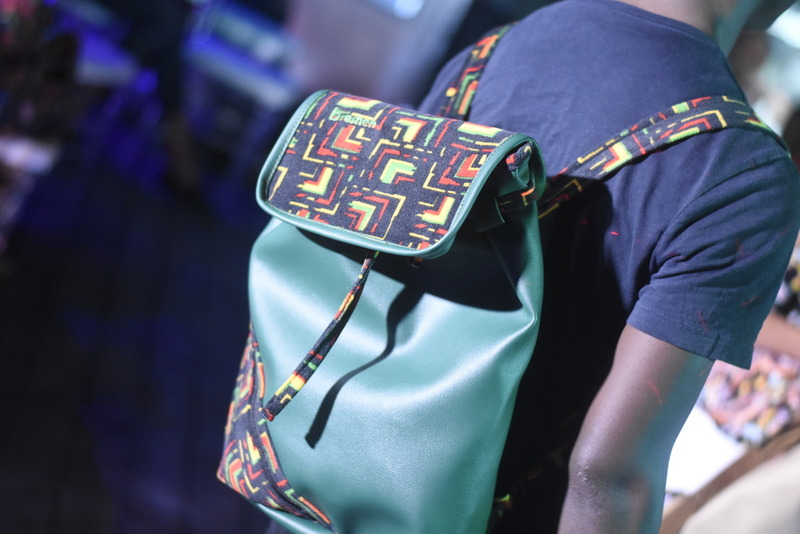 Chairman of the JN Foundation, Parris Lyew-Ayee is encouraging Jamaicans to support the social enterprise sector during the Christmas Season by buying authentic Jamaican-made gifts. “I encourage everyone to support our social enterprises by ‘buying social’ this Christmas Season. 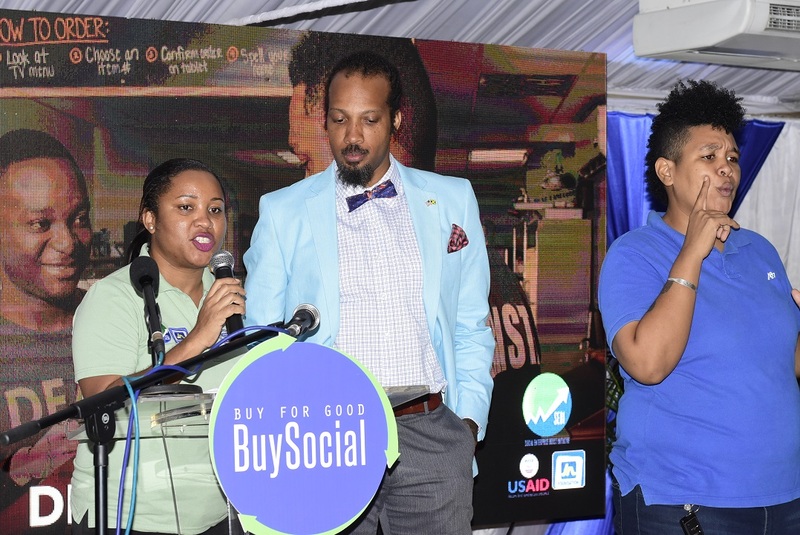 Without your financial support, these entities cannot grow,” he pointed out as he addressed the ‘Close-out Ceremony’ of the Social Enterprise Boost Initiative (SEBI), at the Terra Nova Hotel and Suite in Kingston, recently. Lyew-Ayee said in the process of selecting gifts for friends and family, persons should consider social enterprises such as: JAD Binders, which restores books that can be passed down through generations; Superior Craft and More, offering signature furniture pieces; Bresheh, manufacturers of locally-produced bags, which will make excellent Christmas gifts; Alpha Wear with its trendy clothing line; and Bartley’s All in Wood, among others. She stated that the trademark gives the social enterprises “a face,” and there are several social enterprises across the country. These social enterprises include: Deaf Can! 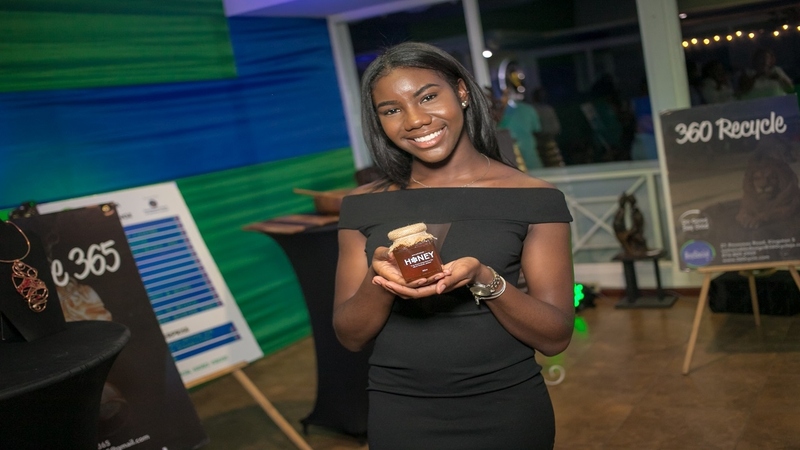 Coffee, 360 Recycle, Alpha Wear, Bartleys' All in Wood, Bresheh, Bunkers Hill Cultural Xperience, Eco-Farms Jamaica, EducaTours JA, JAD Diners; Petals 'n' Roots and Superior Craft & More, among others. 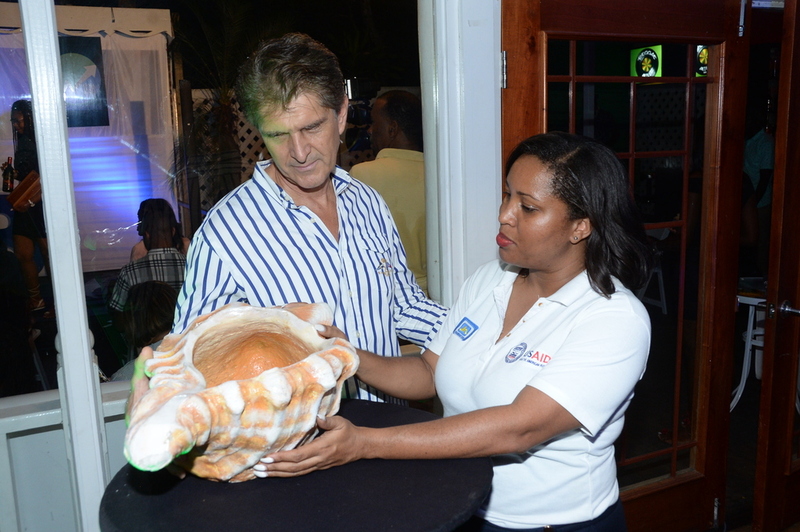 Alexx Antaeus (left), owner, Opa Greek Restaurant and Lounge examines his shell made by social enterprise, 360 Recycle Manufacturing Limited with Ana Toby, Marketing, Communication & Events Officer at SEBI, which he successfully bid on at a SEBI Biz Mix Networking Session, recently. Whyte also called for more proactive partnerships between the private sector and social enterprises, which she stated will accelerate growth. “Some private sector organisations are already collaborating with social enterprises, as part of their corporate social responsibility. For example, some of the National Baking Company’s trucks are currently wrapped with the ‘Buy Social’ logo. We need more of that type of collaboration with the private sector,” she encouraged. SEBI, a project of the JN Foundation and the United States Agency for International Development (USAID), culminated on December 12 after six years of operation. The aim of the project was to facilitate and support the growth and development of social enterprises across Jamaica. Under SEBI, some 35 social enterprises were able to generate more than J$186 million in revenues and employed some 500 persons, on a part-time and full-time basis.